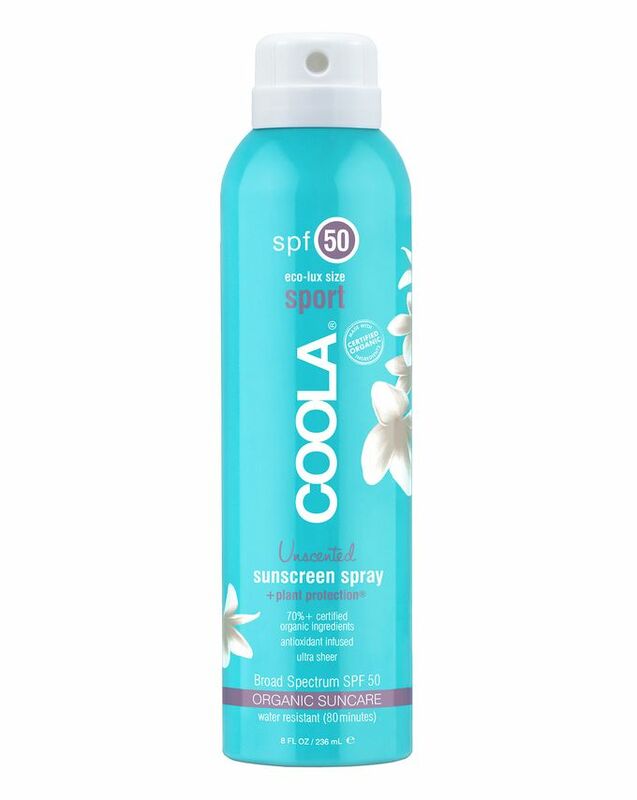 The easiest way to stay safe in the sun, COOLA’s Eco-Lux SPF 50 Sunscreen is a hassle-free continuous mist, which provides long-wear, non-greasy broad spectrum sun protection – creating an invisible high factor shield between skin and the damaging effects of UV rays. COOLA skin care takes the fuss out of protection with their easy, spray-on sunscreens. Ideal for sensitive, fair-skinned folk, strong sun or those who choose adventure over lounging, this unscented, SPF 50 filter binds with skin (it’s a chemical sunscreen) that remains water-resistant for up to 80 minutes – so you can swim (or sweat) without stressing about the sun. The brand’s farm-to-face philosophy means that their formulas are brimming with organic plant extracts – including cucumber, algae and strawberry – optimise protection whilst infusing skin with nourishing extracts, while the unscented incarnation means it won’t interfere with your favourite fragrance. I'm heavily tattooed, so never leave the house in summer without protecting my skin with SPF 50. This sunscreen made a super quick job of application, was easy to transport in my bag and really did a great job of keeping my white ink highlights safe from tanning. It's well worth the price tag, especially as there aren't many other cruelty-free brands that can live up to the quality I expect. I'd buy again (and I have!). I absolutely love this spray-Mist sunscreen. It is such a lovely fine mist and covers large parts of the body super efficiently. I bought this for my son, who is always so eager to get outside, I have a very short window to apply sunscreen on him. This spray mist is unscented, does not leave an unsightly white cast and is so easy to top up, without getting sunscreen on summer clothes. Coola sunscreens are fab. Thoroughly recommend.